Get more bang for your buck! Chair Massage is affordable and is the perfect marketing tool for trade shows or to impress your VIP’s and more! Show your gratitude with Chair Massage. When you show your appreciation by caring about their well-being, they will show their appreciation in return. Workplace Wellness- Chair Massage in the workplace helps to boost morale, release tension and stress, reduces absenteeism due to workplace-related injuries, and much more!. Event Organizers- Chair massage at any event is memorable! Corporate dinners, trade shows, sponsorships… it’s treat for the attendee and the exhibitors! Welcome to Circle of Hands Chair Massage! We specialize in corporate wellness and event massage. We provide Chair Massage at conventions, trade shows, corporate events, health fairs, and in the workplace. We have an extensive network of caring, dedicated, licensed, and insured massage therapists that is sure to make your event is a success and help to relax your hardworking employees, VIPs, or qualified prospects. Are you looking for a way to show your appreciation or reward employees? Would you like treating your VIPs to something positive and different? Are you trying to find the perfect way to generate traffic and leads to get the highest return on investment at your next trade show? We are here to help and you can relax knowing we’ve got your back for whatever it is you may need. 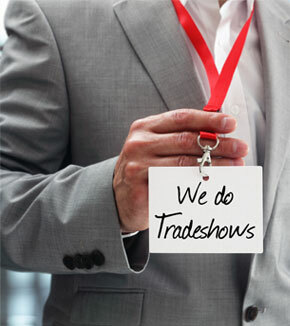 We also work with trade show managers, Corporate and meeting planners, event marketing professionals, wellness program managers, and human resources to make the process as pleasant and smooth as possible. Please take a few minutes to read up on what we offer and how we can help you. Sign up for potential jobs in your area & access important information & documents. Our blog seeks to provide a collaborative look on health, business & massage. This is the place for tips to promote your business, reward your employees and feel better. We are committed to helping you in any way we can. Whether you are looking for answers or would like to tell us how we did. Please contact us here via phone or email.